A perfect game for Indoor Center needs. 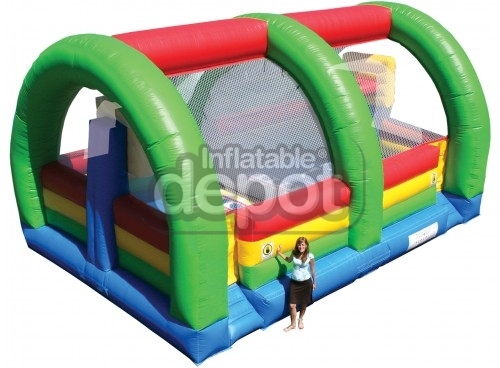 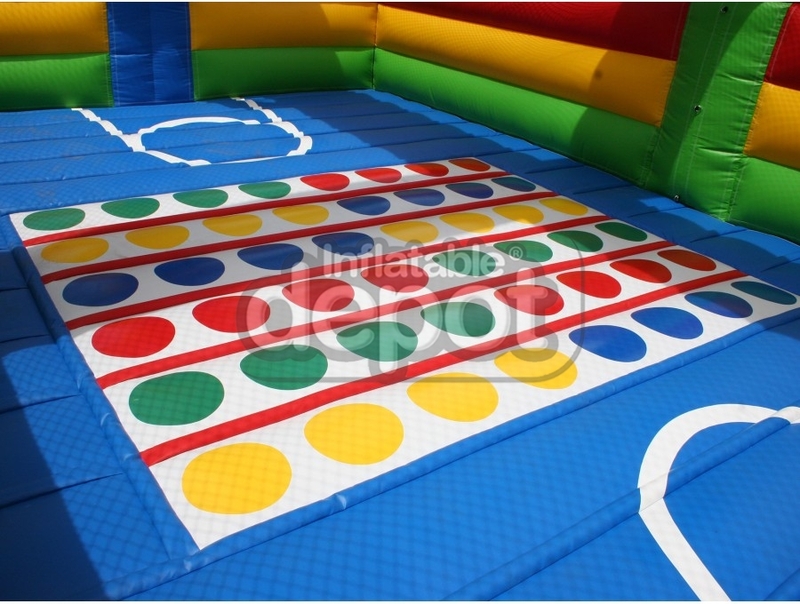 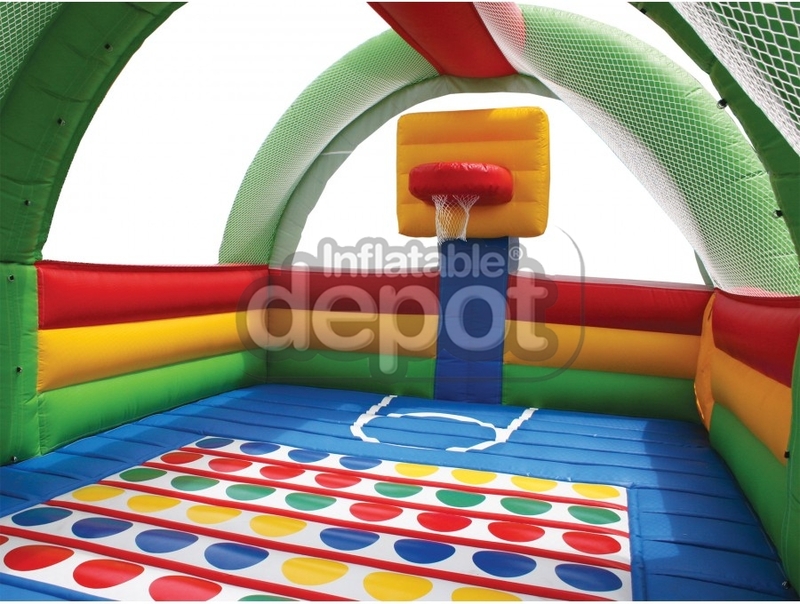 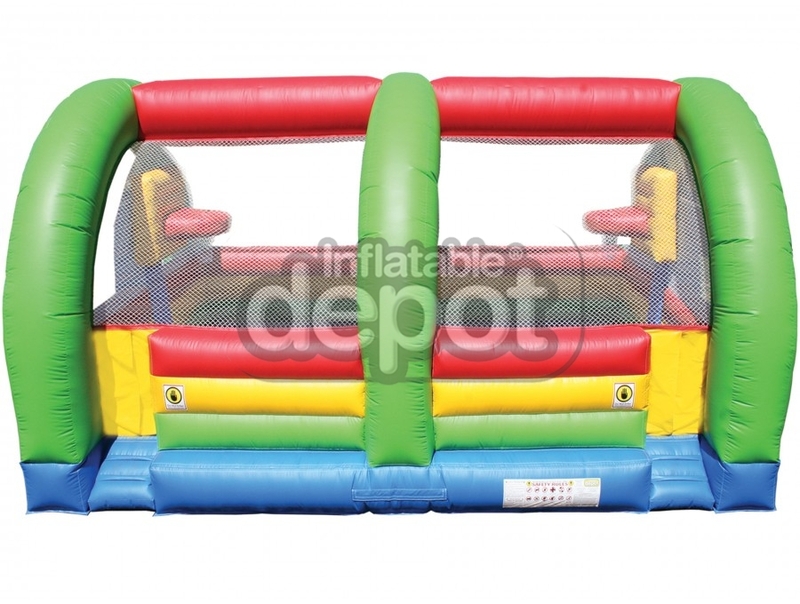 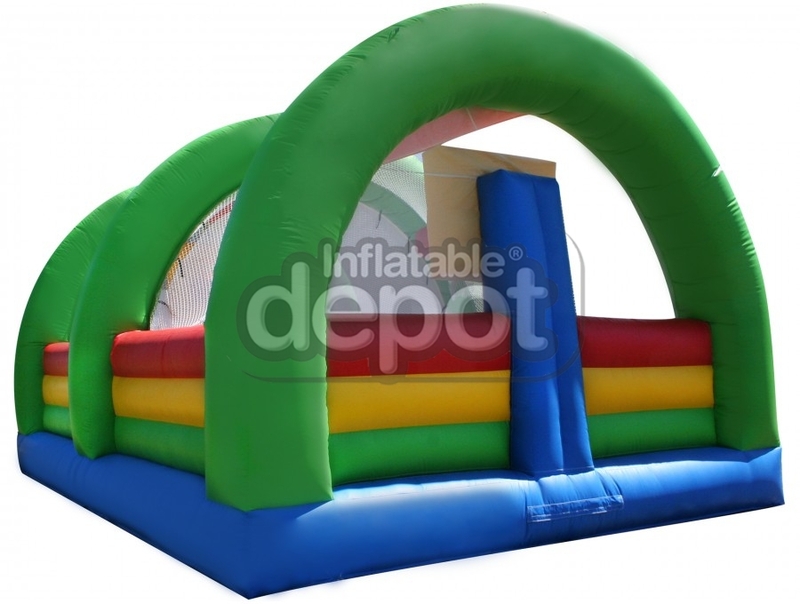 The unit is covered with mesh and includes two basketball hoops, and a twister mat. 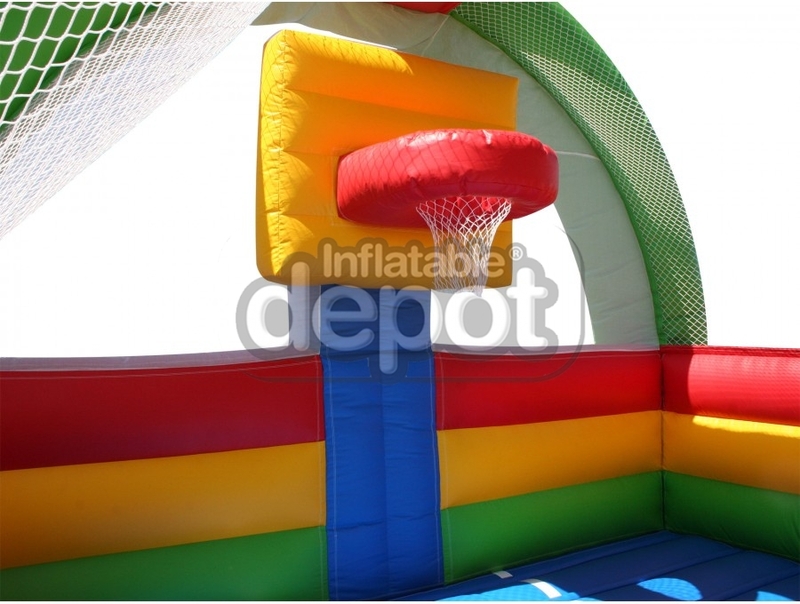 Kids and adults will enjoy the Depot Sports Complex experience!